Here's some food for thought: Can brands actually sell products by giving them away? Blake Mycoskie, founder and chief shoe giver at TOMS, believes you can. "Giving, while it feels really good. … It also is really good for business," Mycoskie said at the Direct Marketing Associaton's &THEN conference in Boston last week, "and there's nothing wrong with that." Mycoskie would know. In addition to founding TOMS, Mycoskie invented the business model that TOMS is based on — One for One. The premise of One for One is simple: For every product purchased from a brand, that brand gives one product away. This basic notion has led TOMS to donate more than 35 million pairs of shoes since 2006 — that's a lot of sales. So how can brands mimic Mycoskie's success, and what are the benefits of implementing a One for One strategy? To help answer these questions, here are four lessons marketers can learn from the TOMS founder. 1. Know your target audience. Marketers are constantly on the hunt for their most passionate consumers. For TOMS, they're the people who can most relate to a specific charitable cause. For instance, for every TOMS Eyewear product purchased, TOMS provides a person in need with an eye exam and treatment. Not surprisingly, Mycoskie said that the people who are the most passionate about this issue — and therefore TOMS' products — are people who already wear glasses. 2. Tell your brand story, and give consumers opportunities to do the same. People aren't just buying TOMS' products, Mycoskie said; they're buying the brand's story. "The more that your company can have a mission and a purpose, the more you can attract," he explained. 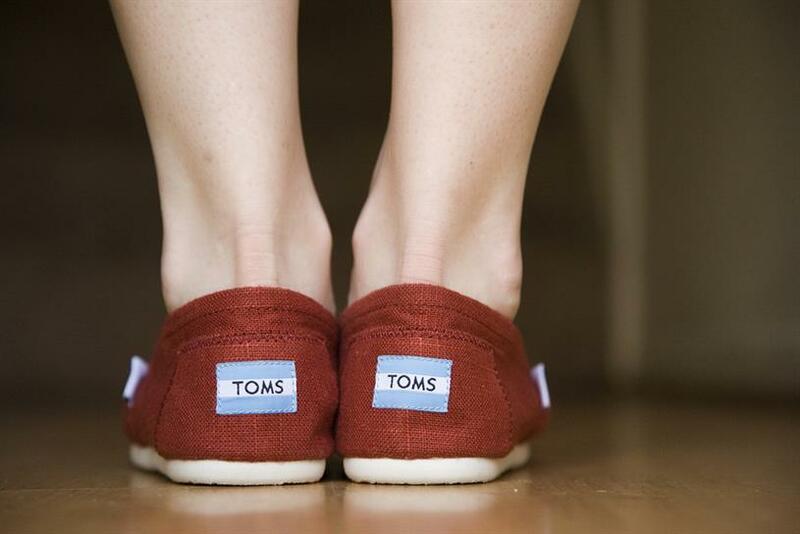 To help consumers share its story, TOMS fosters a sense of community and invites consumers to join its TOMS Tribe. The brand even has its own TOMS Community Guidebook. The company also gives its tribe members opportunities to engage both in person and online. For instance, it hosts its One Day Without Shoes event, where it invites people to walk barefoot for a day, and it offers content and donation opportunities through its website and social channels. He said that without question, when companies incorporate giving or a mission beyond profits, customers turn into advocates. "What happens is your customers become your greatest marketers," he said. 3. Listen to feedback—both positive and negative. Although many have applauded TOMS for its One-for-One model, the company has also faced its fair share of criticism, mainly centered on its manufacturing model. Some people denounced TOMS for producing its shoes in places like China before exporting them to developing countries. Others complained that the company was actually impeding economic growth by taking business away from local vendors. According to the nonprofit media company Public Radio International and The Slate, TOMS listened to the outcries for change and responded by pledging to open a factory in Haiti with promise to produce at least one third of its shoes in the countries where they're given away. The lesson? Every brand faces scrutiny. What's important is that brands take this feedback into consideration and react when appropriate. "I'm really glad that I learned the lesson to take criticism," Mycoskie said. 4. Ignite passion in employees and partners. Giving doesn't appeal to only consumers; according to Mycoskie, it also attracts amazing talent and partners. For instance, TOMS has acquired talent from marquee companies, such as AOL and Deloitte, Mycoskie said, and partners with major brands, including Nordstrom. "People want more than a paycheck," he said. "They want to have a purpose." Geolocation: Smart marketing or customer stalking?